It’s that time of year, when we are tired of the cold and thinking about the next vacation! With the growing trend of unusual Airbnb homes, those vacation plans could be a bit more adventurous without breaking the bank. For those who are unfamiliar with an Airbnb this lodging allows you to stay in another person’s home, often with more amenities and a smaller price tag than many hotels. Originally named “Airbed and Breakfast” this company got it’s start as three air mattresses and a full breakfast! The company has grown considerably since their humble beginnings and now boast luxurious rentals all over the world. The benefit to an Airbnb rental versus a standard hotel room is due to many things. They can be more spacious which is great for those traveling with kids. Often they have kitchenettes and many allow pets. Of course, it is all dependent on your needs, and some are simple guest rooms or loft beds. For those traveling alone who like a little conversation, the perk of having a host on the property, who knows about the area can be a bonus. 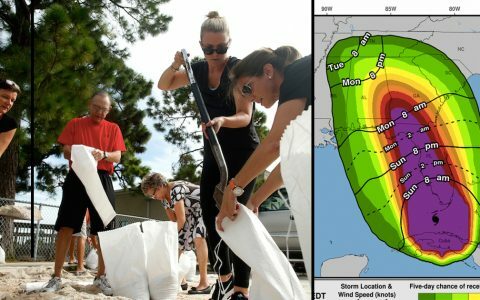 The greatest benefit is the location. Staying with locals in unusual Airbnb homes, in the heart of a community, often leads to an exceptional vacation experience. We really appreciate the more charming setup, unique to that location, rather than the standard cookie-cutter hotel room. Let’s check out some of our favorite, bizarre, and unique listings. Here are 12 creative vacation get-aways for you to enjoy! 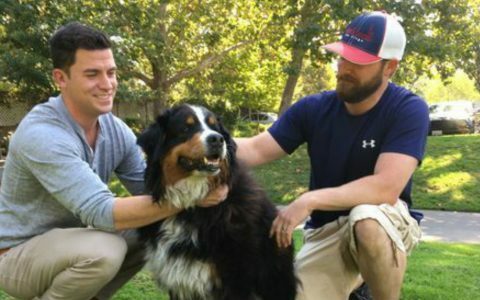 We are obsessed with our “fur babies” and generally anything cute has our vote! This Dog Park hide-a-way couldn’t be a more idyllic place to find some R&R for your next vacation. Located in a quaint area of Cottonwood, Idaho, it may not be the first place you look for a retreat – but you should! 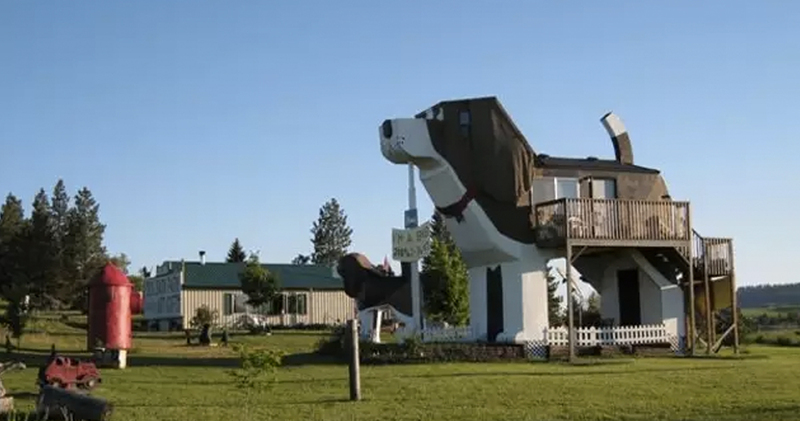 Boasting a great central location in the middle of several National Forests, museums on Nez Perce native history, and Hells Canyon Gorge of the Snake River places this “dog house” on our bucket list! Should you choose to pay the $132 p night to tell your friends you slept IN a Beagle, the opportunity to simply rest on your haunches, take in the expansive prairie views and not move a muscle is a great choice! If you secretly connect with Don Quixote (the man who lived in a fantasy world where windmills were giants waiting to be vanquished) this rental is perfect! Set in a quiet area outside of Amsterdam, it boasts of a glimpse back to a calmer way of life. One guest noted that they were taught about the inner workings of the windmill and even were allowed to help stop it at the end of the day. 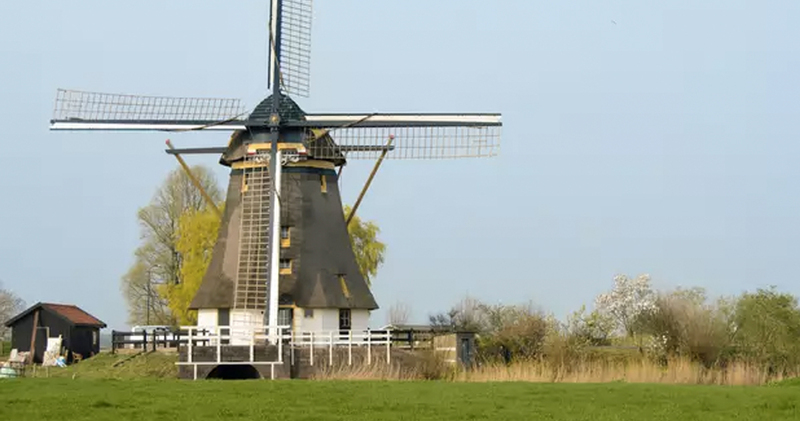 With just a short car or train ride to the city, this windmill haven is a beautiful location. For those who have traveled to Europe, you know that the hotels do not come cheap. This certainly isn’t the most affordable option if you are on a back-packers budget ($375 p. night) but if you are traveling with friends and looking for a unique cultural immersion styled vacation, it may be well worth it to split the costs! 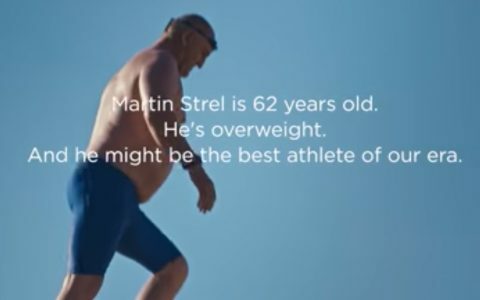 This vacation get-away is definitely for the more fit among us! If you’ve worked hard to keep that youthful exuberance for life and love hiking, this one is for you. Lovingly listed as “glamping” (think glamour + camping) these perfectly positioned hammocks will leave you snoring in tune with the tree frogs. Not to mention the nightly price on this unique Hawaiian get-a-way comes in at a whopping $41 p. night! Yee Haw! I’m packing the wagon now… station wagon that is! This quaint beauty has all the feels of a 1950s Spaghetti western and we’re raring to go. Given the name “The Love Nest” this sweet one bedroom retreat is located in the loft of an old barn on the property. 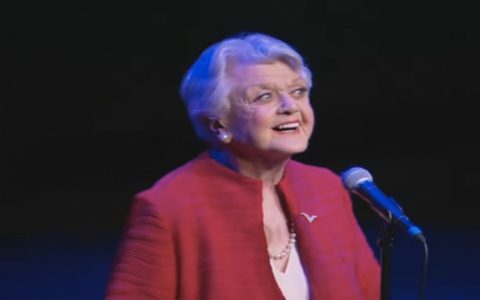 The hosts warn that if it’s horses and animals you love, this is the place to be! Nestled in the Morongo Valley, just 20 minutes from bustling Palm Springs, it sounds like a piece of heaven. 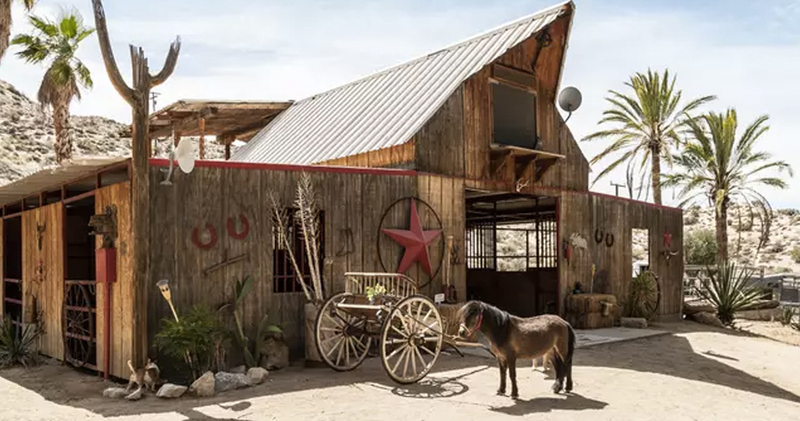 With a burro named “Romeo” and their own “Draft Horse Saloon” it sounds like these folks know how to have a good time. At $105 per night, we think this is a great option for those who truly are looking to travel to the “Old West”! 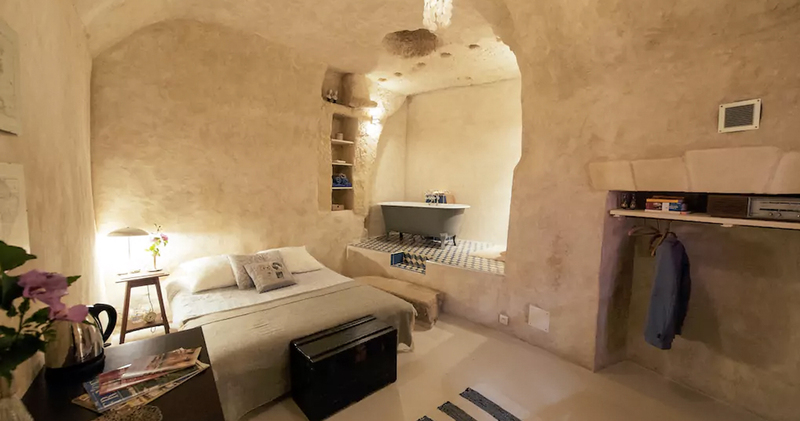 If you are looking to travel abroad, soak up some culture, and save your pennies check out this Ah-mazing CAVE rental! Set just a few miles from the town where Leonardo Da Vinci resided, this location offers a wealth of experiences. This unique cave dwelling is so stunning. It overlooks the Loire Valley which boasts a bustling town full of shops and restaurants. Surrounded by wineries, gorgeous landscape and welcoming local residents, this $89 per night cave adventure seems dreamlike! 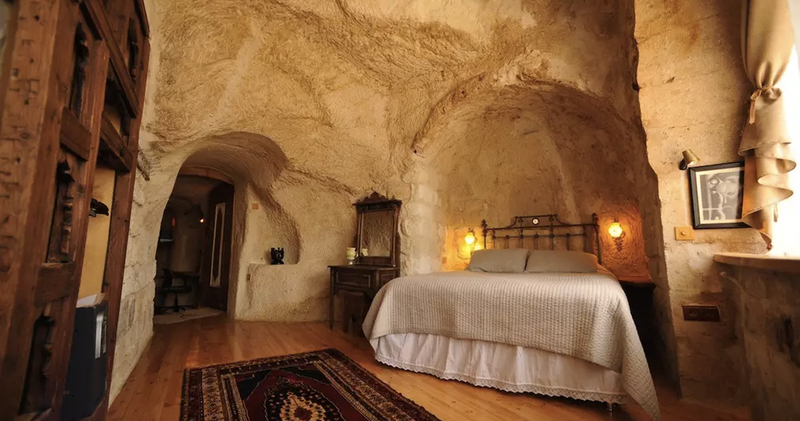 Because the idea of staying in a cave is so exciting, we found ourselves lost searching through hundreds of cave rentals. Who knew so many amazing dwellings existed?! Take a quick peek at this one located in Turkey. Wow! 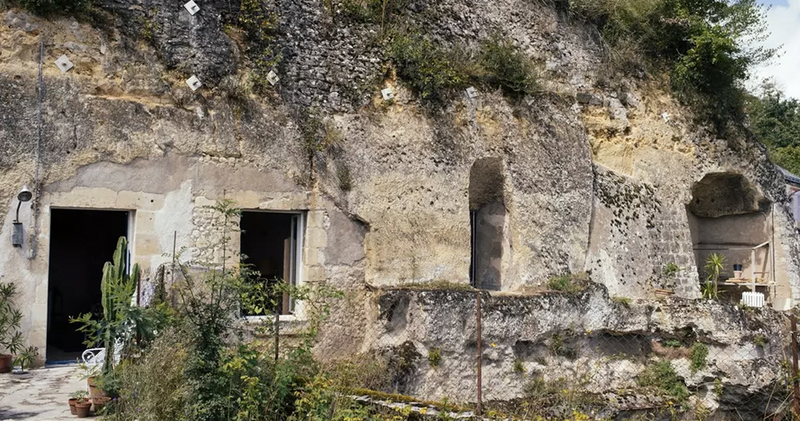 Perhaps it’s not as luxurious as a cave in France or Turkey. It certainly doesn’t push the envelope like some of the rest of these vacation homes. BUT, this adorable, well-decorated, well-thought-out “tiny house” is situated in an amazing part of the United States– the Outer Banks. 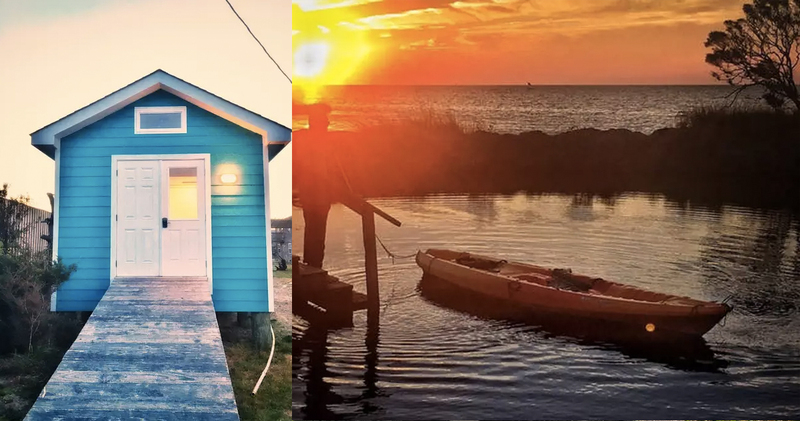 Nestled in a little community called Rodanthe (Richard Gere, anyone?) you cannot beat a getaway in this location. For a whopping $39 per night, this is a great way to enjoy the ocean and the sound, grab some much needed R&R, and not break the bank! If you’ve never been to North Carolina’s Outer Banks, we almost don’t want to tell you how lovely it is. (Shhhh, let’s just keep this one between us!) It’s not just the beauty of the beaches, the bird sanctuary, or the serenity of sunrise and sunset. No, what makes “OBX” a perfect vacation spot is the local people. They are laid back, welcoming, and knowledgeable about their home. As the area has grown in the last 30 years as a travel destination, they have been so gracious. They are the reason that “regulars” return year after year, generation after generation! We’re counting the days! 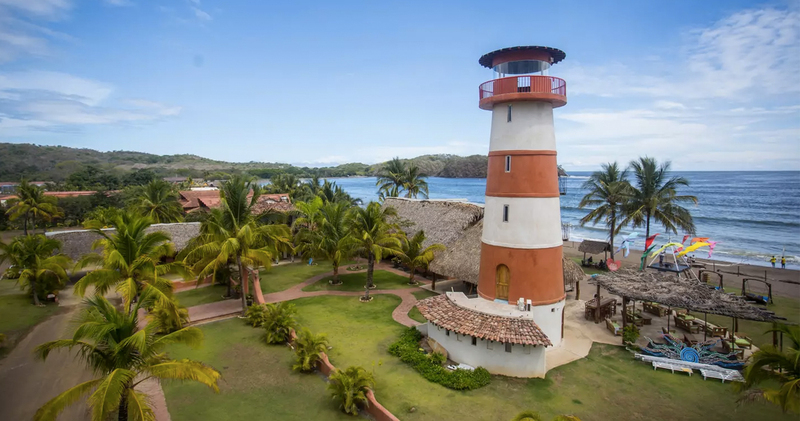 This amazing lighthouse rental is on the gorgeous coast of Panama. Built to be a “love nest”, this lighthouse is separated into three separate floors. The first floor hosts a seating area for drinks or morning coffee. The second floor is an amazing open layout bathroom. The top floor is a charming bedroom with 360° views of the water and surrounding beach. As part of the El Sitio hotel complex, there are plenty of activities to participate in (swimming, horseback riding, kayaking, hiking). Granted that does mean the price is a little steeper ($198 p. night). If you crave a little restful R&R, perhaps planning your stay on a non-Carnival weekend would be best. The romanticism of staying in a lighthouse directly on a coastline cannot be overlooked! The Playa Venao is considered quite beautiful and safe, according to multiple travel and tourism sites. Find the charm of staying in a lighthouse to be right up your alley? If you’re interested to see what your own area offers by way of towering rentals, we think you’d be surprised at how many lighthouse options there are to vacation in! Our interest is definitely peaked! It’s a House Boat! Lovingly named the “Sugar Shack” this quaint vacation home offers stunning views of Seattle. 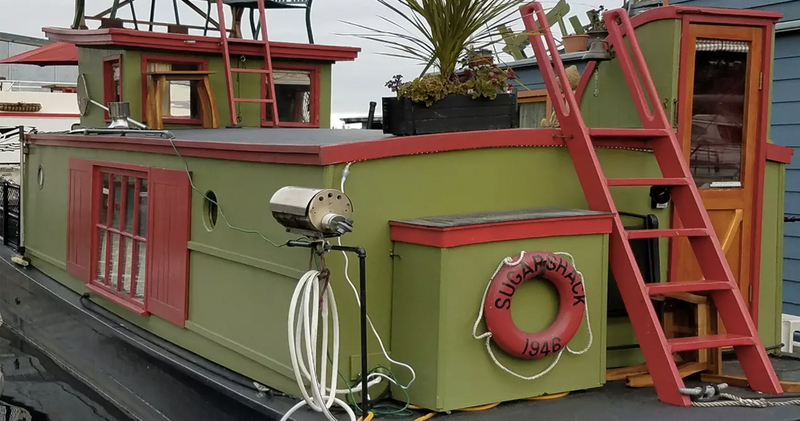 The Sugar Shack boasts of a friendly marina with easy walking access to public transportation, local shops and restaurants. For those that love the water, bird watching, people watching and exceptional laid back vibes – they’ve got you covered. Land-lovers quickly adjust to the rhythmic swaying of the waters of Lake Union in such a charming setup. The perky colors of this houseboat carry throughout, even down to the colorful striped dishware and coffee mugs! 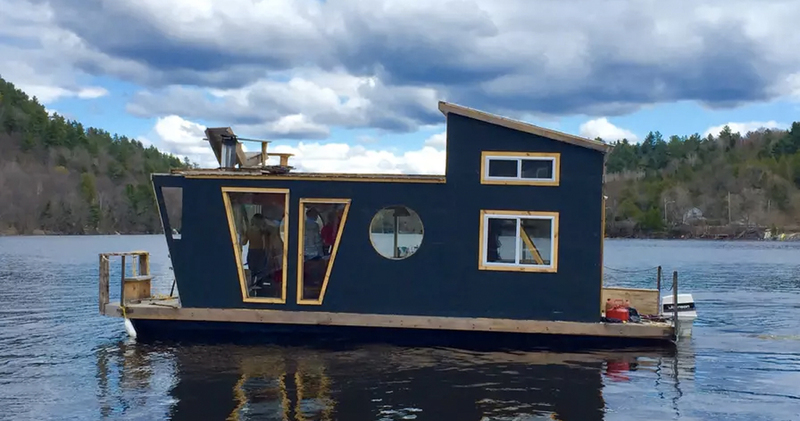 If it’s a houseboat experience you want, but perhaps the West Coast/City is not your style, check out this adorable East Coast/River version! Wakefield, Qc offers many attractive shops and restaurants in a charming town which boasts a relaxed bohemian way of life. Full of artists and galleries, we’re sure this step away from the normal pace of life would be a true breath of fresh air! Did we mention that both houseboat rentals are under $100 a night. Seems like a great way to explore our continent and put your money into an experience for the books! With a listing name like “Atlanta Alpaca Treehouse” there has to be an adventure waiting! This stunning “high-rise” rental has overwhelming charm. 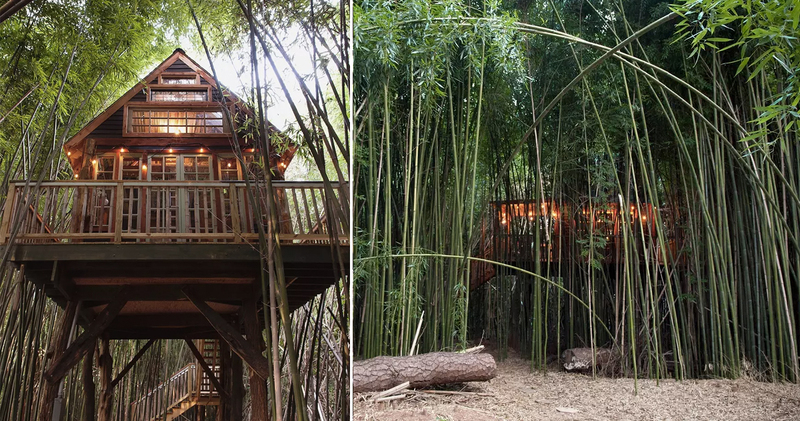 Nestled in a bamboo forest, it offers a lovely escape from reality. This one-of-a-kind accommodation is well worth the higher asking price ($350 p. night). If you’re like us, we have a thing for Alpacas and Llamas, so a little extra moolah to get to visit with them is a-ok! The 80-year-old bamboo swaying around you offers a unique lull to sleep. During the day, enjoy a cup of coffee while watching the animals wandering beneath you. Underneath the tree house is a bed-sized swing, perfect for reading or taking an afternoon nap. Of course, you might get some unexpected alpaca kisses! This place is magical and definitely will give the needed vacation from the bustle of everyday life. What a phenomenal property for your next vacation! Located in the heart of Virginia’s Blue Ridge Mountains, this unique getaway has a lot to offer! For $75 p.night, this tipi is perfect for a relaxing day in nature. If you’re hoping for a retreat with your favorite fella (your horse, of course!) this charming rental encourages you to bring them along for a small nightly fee. 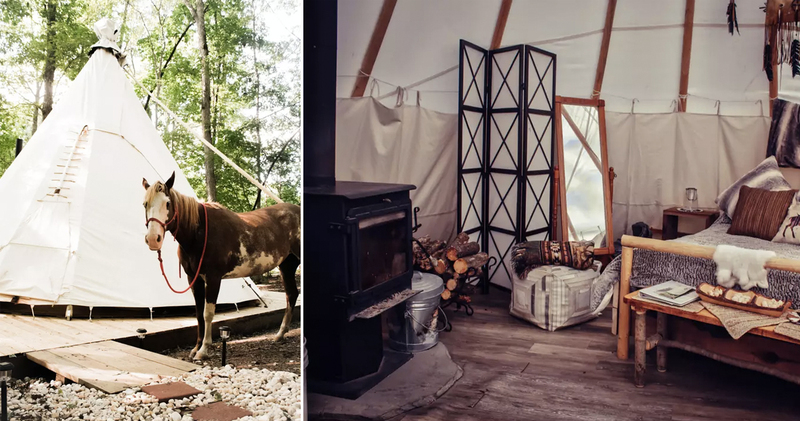 With beautiful pastures and creeks to explore, this tipi is perfect for those who want to connect with nature. 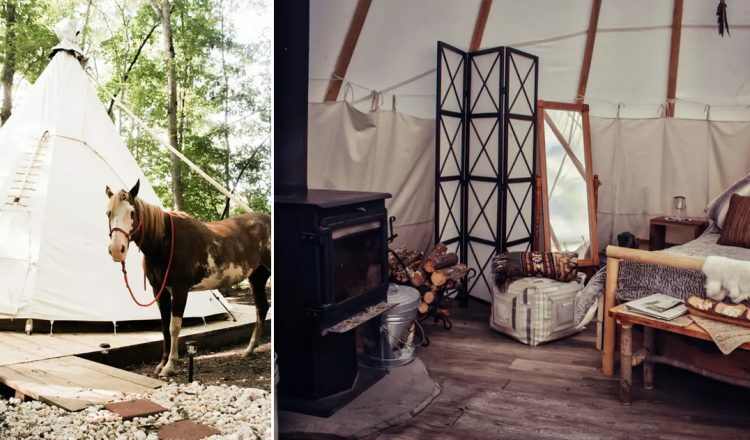 Recently rated “the best glamping location in Virginia by Hospitality Management Degrees” after checking out their photos we would have to agree! The bed adjacent to the wood stove look perfect for a relaxing afternoon reading and napping! Before or after that quiet time, book a morning of horseback riding, fishing, or a trip into Lynchburg. It’s a bustling little city full of shops and restaurants, you won’t be disappointed! 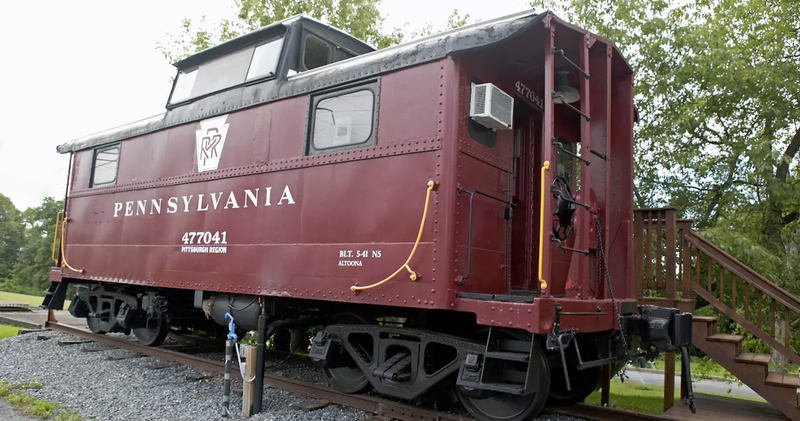 This 1941 restored caboose has all the thrills linked to the hay day of railway life. 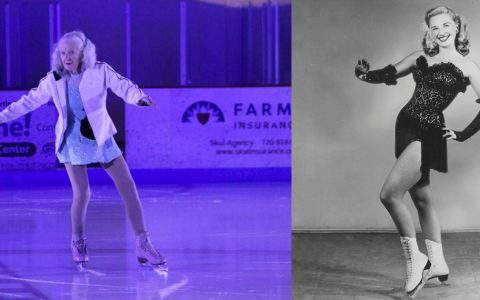 Run by the Clinton Historical Society in Lock Haven, Pennsylvania, this fascinating rental will leave you feeling nostalgic. Situated next to the original Lock Haven Station. Many Airbnb offer host conversation to go with the rental. This particular set up is based around a lock box and your privacy to enjoy the area. The caboose has been reworked to boast fully functioning bathroom facilities, a sweet kitchenette and two quaint original beds. 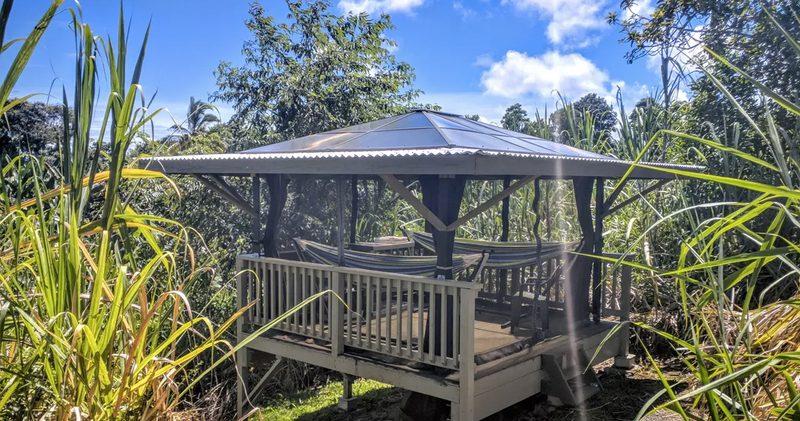 While this may seem more like upscale camping, if you are a train enthusiast, or know one, you’ll understand that this listing is truly a dream come true for many! The location puts you centrally in Pennsylvania with easy car access to loads of antique shopping, friendly pubs and picturesque views. For $75 p. night this getaway looks like it’s worth every penny to a train lover! Can we just say “WOW”. 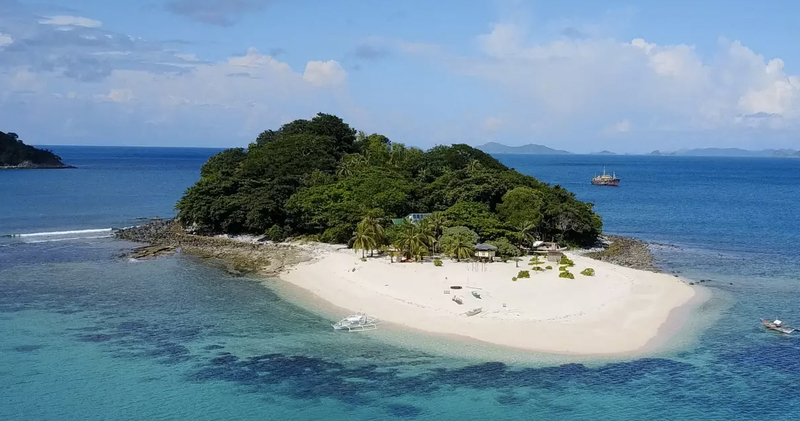 Who thinks about taking a group and renting an island? Apparently frequent Airbnb folks do! There are TONS of island renting options. This amazing rental is located in El Nido, Phillipines. The $300 p. night fee seems very reasonable for the amenity of having an entire island to yourself. With beautiful white sand and crystal clear water, this screams relaxation! The island hosts stay there with you and the rental is fully staffed with a caretaker, housekeeper, and cook. The listing boasts home cooked meals in traditional Filipino style. We truly cannot think of a more lovely place to stay! If these getaways are the unique spaces that you love to dream about, or you are actually planning a trip, we found a great online resource article to help you search on the Airbnb website. You might need to be slightly computer-savvy. For those who aren’t, there are clickable links in each category! Check out Michaela’s post for tips on searching through the categories at TravelIntense.com! 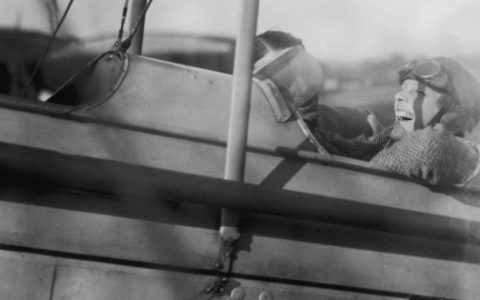 Did History Get Amelia Earhart’s Death Wrong?